This type of appliances ares fixed to the teeth by a dental cement. 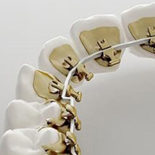 The set consists of brackets (metal, plastic or ceramic), tubes and rings, supporting the metal arc responsible for tooth movement. 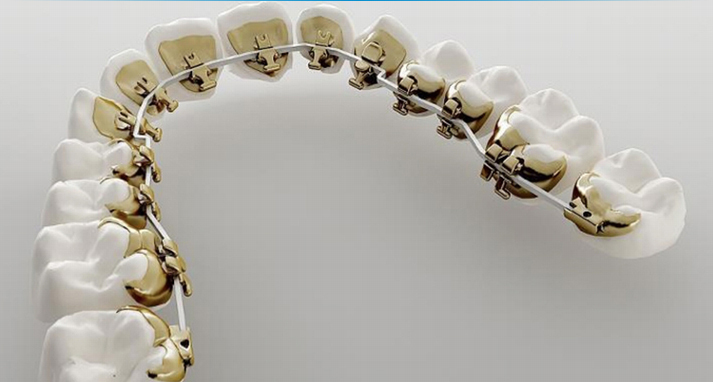 Ceramic braces are barely noticeable because the supporting parts (brackets) are confused with the color of teeth. Lingual appliances are virtually invisible because the metal parts (brackets) are glued on internal faces (lingual) teeth. This device is shaped to fit the patient's mouth and can be removed by the patient. In this case, the aid in the treatment of patients is essential. Such devices are suitable for making small dental movements. Today there are removable appliances that are nearly invisible. 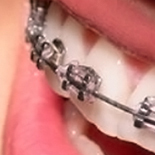 These are the best choice for those who do not want to wear braces for aesthetic reasons.